The Moorings of Naples Fl is a luxurious community located south of Park Shore and just north of Olde Naples. The real estate in the Moorings offers something for everyone. Single family homes range from the $600’s to over $5 million. 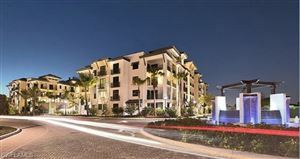 Moorings condos range from the $100’s and up. Beachside condos situated along famed Gulf Shore Blvd. range from the $200’s to $4 million. Similar to offerings in Park Shore much of the real estate here is on or near a bay or the Gulf of Mexico. Many residents drawn to the Moorings are boating enthusiasts as many home sites ring Hurricane Harbour or Moorings Bay. Some are located on deep water bay lots, and with no bridges it offers easy access to the Gulf of Mexico. Golfers should know that the Moorings Country Club is a central feature of the neighborhood. The course will challenge all skill levels and the recently renovated Clubhouse makes for a great social hub. Centrally located the Moorings of Naples Fl offers close proximity to the shops and restaurants of Olde Naples. Also nearby is Venetian Village, the Waterside Shops, The Naples Philharmonic, the Zoo and much more. Take a quick tour of Moorings real estate and feel free to contact or call me if you would like to see property, or need help with additional real estate questions or needs.